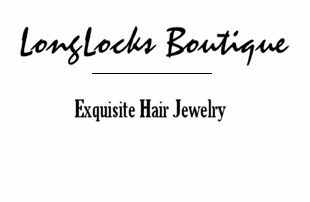 You just found a hidden gem on the LongLocks Boutique! PRX is phenomenal radio. I have absolutely no professional affiliation with PRX.org but it's such a significant part of my daily life in the LongLocks studio and something I enjoy so thoroughly, that I feel it worthy of a bit of LongLocks space just so I can share it with all of you and help spread the word about this fabulous public radio station. Curated from National Public Radio stations across the country, PRX broadcasts the best stories of significance 24 hours a day, told by the people who experienced them, recorded with beautiful production values raised to the level of fine art. It will make you laugh, it will make you cry, and sometimes it will make you uncontrollably do both at the same time. If you are a fan of The Moth, This American Life, StoryCorps or Salt Radio programming you will love PRX, and the broadcasts from these great resources barely scratch the surface of what PRX offers. If you are unfamiliar with them, you are missing American culture at its best. There is something here for everyone, if the story currently playing doesn't particularly interest you, wait five minutes and one you'll find absolutely fascinating will follow. Unlike the mindless drivel that dominates this country's television and radio programming, PRX plays to the highest common denominator. It's important radio... radio for the rest of us. © Copyright 2012-2013 Susan Maxwell Schmidt, All Rights Reserved.